Never have we witnessed such morally decadent political behavior as what has transpired these past weeks. Paradoxically, this occurred in the wake of a series of incredible Israeli achievements. Kibbutz galuyot – the ingathering of the exiles – has become a reality. Israel has emerged as a military and economic superpower, is water-independent and is a major high-tech powerhouse. Its standing on a global level is unsurpassed. 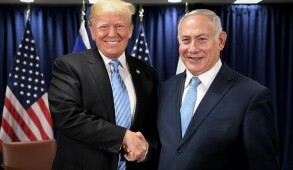 The Donald Trump administration, in contrast to its predecessor, treats Israel as a genuine ally. It abrogated the bogus 2015 nuclear deal with Iran, imposing tough sanctions on them despite the bleating of the Europeans who are desperate to continue appeasing the Iranians. In addition, U.S. Secretary of State Mike Pompeo demanded that the Iranians pull out of Syria and desist from engaging in international terror and explicitly warned them to cease calling for Israel’s destruction. No longer is Israel facing Iran alone. At the same time, Prime Minister Benjamin Netanyahu has been able to maintain a friendly relationship with Russian President Vladimir Putin, who also called on Iran to withdraw from Syria. 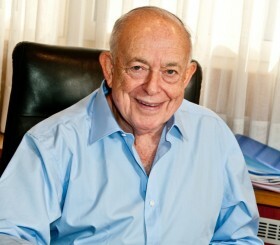 Today, Israel is in great demand and sought out by many countries in Africa, Asia and South America. Last month, Israel scored a remarkable military victory against the Iranians and virtually destroyed their infrastructure in Syria in overnight raids, suffering no casualties. This was followed by the dramatic disclosure of the Mossad, which, having incredibly purloined literally half a ton of Iranian classified documents, demonstrated to the world with conclusive evidence that the Iranians were lying when they claimed that they had no intention of creating a nuclear bomb. The peak of Israel’s jubilation came with the American administration’s opening of its embassy in Jerusalem in a gala ceremony that thrilled the nation. 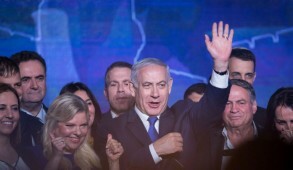 Despite repeated criticisms and condemnations of this by European and other countries, Israelis were in an exuberant mood that climaxed with Netta Barzilai’s spectacular win for Israel at the Eurovision song contest. Now we turn to Gaza. There have been continuous complaints about the appalling living standards and high level of unemployment in Gaza. The bulk of funds from Israel and other countries flowing into Gaza are siphoned off by Hamas to produce rockets, dig tunnels and prepare for a military confrontation with Israel. The most obvious example is the concrete – allowed to enter Gaza by Israel – being diverted to terror tunnels in lieu of building homes. As recently as last month, Hamas rejected vital medication from Israel to avoid showing Israel in a positive light. If Hamas would cease its obsession to destroy the Jewish state, Israeli and global aid would pour into the country and could transform it into a Middle Eastern Singapore. But the abject living conditions of those under its rule do not concern Hamas, whose primary aim remains “armed conflict” and the destruction of Israel. 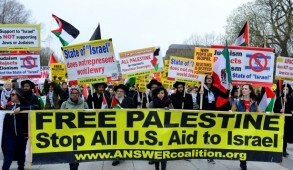 After its efforts to undermine Israel with rockets and tunnels had been thwarted, it used the opening of the U.S. Embassy and 70 years of the Nakba as the pretext to launch a new campaign against Israel, enlisting thousands of Gazans to storm the borders and actualize their claimed “right of return” to Israel. 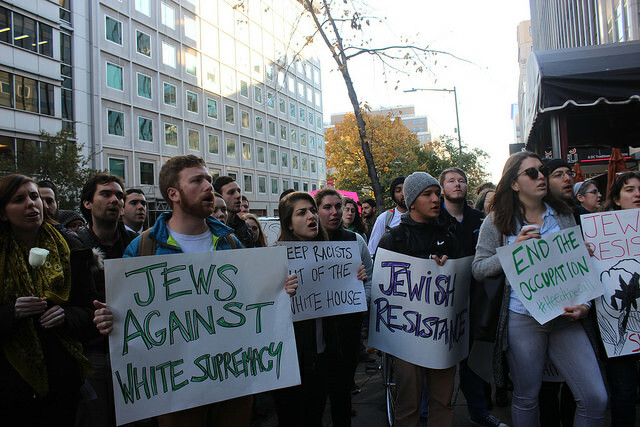 Hailed to the outside world as “peaceful, nonviolent demonstrations,” the participants were provided with maps of nearby Jewish towns and encouraged to bring weapons in order to kill as many Jews as possible and take Israelis as hostages. Peaceful farming communities only a kilometer beyond the border were intended as their initial targets. They descended en masse to the borders hurling rocks and Molotov cocktails, and bringing pipe bombs, grenades, machetes and guns as well as sending burning kites, some emblazoned with swastikas, to destroy Israeli fields. Hamas proclaimed that the purpose of this campaign was to bring an end to the Jewish state and that the casualties would be celebrated as martyrs, their families compensated. The Israeli government responded in the same manner as any nation whose borders were attacked by swarms of terrorists seeking to murder their civilians. 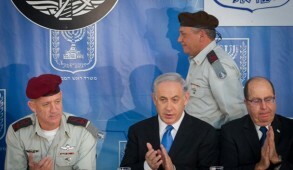 The IDF was instructed to ensure that no terrorist cross the border. While doing their utmost to avoid needless casualties, soldiers had no choice but to resort to live fire when terrorists tore down the barriers and penetrated Israel. Hamas operatives were instructed to dress in civilian attire. Extras and their families were also bused in and promised payment for their services and larger sums if they became injured. Maps were posted on Facebook displaying locations of Israeli homes, schools and daycare centers adjacent to the border. Many youngsters and even infants were pushed to the forefront, forced to assume the role of human shields. During almost two months of rioting and attacks on the border, over 100 people were killed and thousands allegedly wounded. Although Hamas itself proudly proclaimed to its followers that the majority killed were Hamas activists, it announced to the world that this was a massacre of innocent people peacefully demonstrating. The higher the number of casualties, the more Hamas rejoiced. Despite clear visual evidence of the violent Hamas attacks to break through the borders, the liberal media – which had been frustrated with Israel’s recent run of successes – totally adopted the Hamas lies and carried screaming headlines describing callous, bloodthirsty Israelis killing peaceful protestors, including women and children. Political leaders joined in the hysteria, accusing Israel of responding disproportionately, implying that if 500 Israelis had been killed, the death of the Hamas thugs would have been more justified. Some, like Turkey’s anti-Semitic President Recep Tayyip Erdogan, accused Israel of war crimes and even of treating the Palestinians worse than the Nazis treated the Jews. 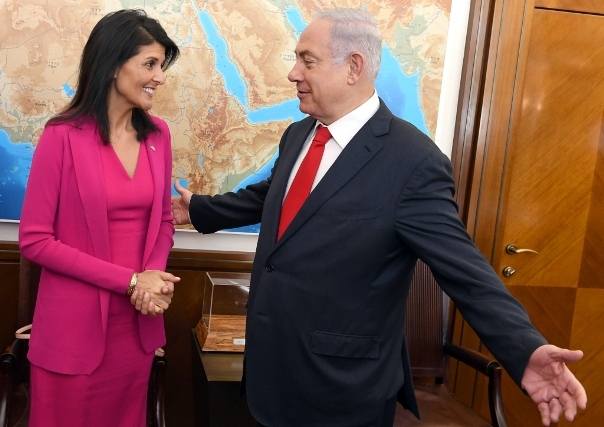 It was only the U.S. that stood by Israel’s right to defend itself, vetoing a call for a commission of inquiry by the U.N. Security Council. It was joined by Australia in the U.N. Human Rights Council, where the hypocrites passed a resolution calling for a commission of inquiry into Israel’s actions without even referring to the Hamas provocation. This has been one of the worst examples of double standards and the pogrom atmosphere generated against Israel. Fourteen countries, including five EU member states, to their eternal disgrace, stooped to the depths of depravity when they stood aside and abstained. Included among these were purported friends of Israel like Germany, the United Kingdom and Hungary. Their complete passivity when Israel is condemned for defending itself against terrorists committed to its annihilation is nothing short of moral turpitude. Shame on them! Despite the monstrous ongoing massacres in the region, purported human rights NGOs, the U.N., the leftist media, and most government leaders used this episode as a pretext to demonize and condemn Israel. Setting aside this despicable behavior and the echoing of the incendiary murderous script crafted for them by Hamas, what is truly macabre is the behavior of sections of Diaspora Jewish communities. 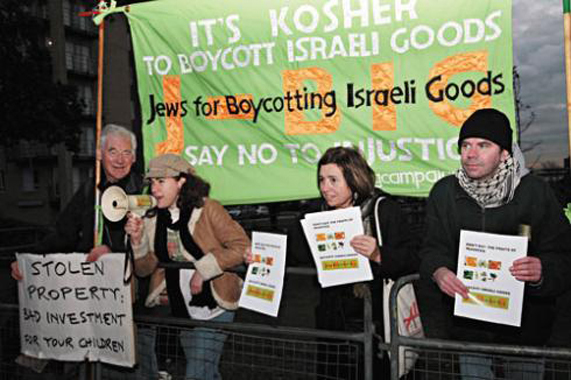 Fringe groups in both the U.S. and U.K. have been publicly demonstrating in favor of the Hamas killers and even holding surreal recitations of the mourner’s kaddish, naming the individuals killed. This is the equivalent of reciting kaddish for dead SS soldiers who shared the same genocidal objectives against the Jews as Hamas – truly a chilul Hashem, a desecration of God’s name. Even beyond this demented fringe, many Jews are publicly expressing grief at the death of the terrorists. Yet they do not express any sadness that our adversaries are obscenely providing human sacrifices by positioning women and children in the line of fire to capitalize on casualties so as to demonize Israel for public relations purposes. Rabbinical sermons have referred to the bulk of those killed as innocents, even though Hamas leaders themselves claim that 85% of them were their operatives. On May 14 at its graduation and ordination ceremony, the Reform movement’s Hebrew Union College shamelessly chose as its guest speaker the fiercely anti-Zionist author Michael Chabon. Anti-Defamation League head Jonathan Greenblatt wrote that “it is a horrific tragedy that so many people have been killed and wounded at the Gaza border.” Would Greenblatt have said this about the masses of Nazis and German civilians killed in the course of World War ll? There is a serious sickness among Jews when so many feel more concern about the death of those seeking to kill us than anxiety for their own kinsmen. No country facing such attacks on its borders would act with greater restraint than the IDF. No country would fail to take such steps to protect its territorial integrity and the life and limb of its citizens. Nevertheless, the world is clinging maliciously to the lies promoted by Hamas, a terrorist organization that does not even try to hide its goal of murdering Israelis. Hamas claims its supporters are engaging in peaceful demonstrations and being butchered by Israelis with a lust to massacre Palestinian children.